How hard would it be to make an open-source synth into an AU plugin for iOS? 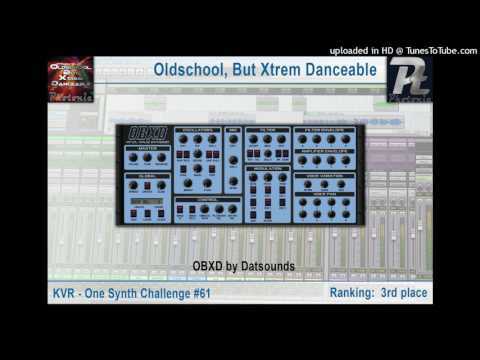 I'm talking about the OB-Xd synth based on the Oberheim OB-X. This is a really sweet synth that would be great to have available as an AU on iOS! . I don't know anything about iOS app development... just asking how hard it would be to port it over since there's already an AU version of it and the source code is freely available. There's a ton of high quality IOS synths that are up to the job. The core element of a(ny) virtual analog emulation is the filter design and HOW it reacts - that's the tricky (or call it sophisticated) part. Unless you have significnt knowledge in digital signal processing it's an attempt doomed to fail. Such knowledge doesn't float around in open source. I don't think you understand. OB-Xd synth is an already-existing synth in VST and AU format. It already sounds great (one of my favorite synths, as a matter of fact) and the fact that it's free and open-source is a real mind-blower. The only thing that needs to be done is to port it over to iOS. It looks like the source is released under a GPL License and, as far as I understand it, that will prevent you from making it into an iOS app. Happy to be proven wrong on this though. iSEM gets the Oberheim sound really well. I don't think you understand. OB-Xd synth is an already-existing synth in VST and AU format. .... The only thing that needs to be done is to port it over to iOS. There is no 'just' in porting something to another platform. I've listened to more than enough lame VST synths and those that kicked were kind of severe CPU hogs. People consider the Arturia Jupiter emulation great, but it's far from the original if you compare the hardware A/B. He loves it, for whatever reason. I hate the sound of Diva, the most overhyped VA of the century. Because developer Urs Heckmann by his own account fitted it to his personal taste or maybe „experience“ of analog sound, to a degree, which it seems I happen to not share in too much. It‘s all fine. To answer the question, it‘s too hard to give it any hope, in this case. Maybe in later years, if there are better libraries and more widespread knowledge, that would make it a more routine job. I usually get tired, „looking behind the cloak“ maybe. I will listen later. I bought Saurus VST, because I did like the demo sounds. Never used it much, different from my analog monos. Diva from U-he I really wanted to love (really like the developer guy), looking for a solution in the box. always triggered by some enthusiastic praise in a forum. Always disappointed. Sorry, off topic. Just not there, for me. I use to say, it may sound virtually the same, but it feels very different in listening and playing it, to me at least, it many situations. Music is not science, music is what‘s in your heart about a sound. For anybody starting out with synth development tackling a port like this surely would make a great learning experience. Looks like it's built on JUCE too so getting it to run on iOS really shouldn't be too hard. As for licensing, while GPL code in the AppStore is somewhat problematic I don't think this would be an issue as long as it remains free and open source. I'll see if I can find some examples of what this synth can do.. It nails the classic Rush/Styx/Journey/Genesis, etc tones very well. All sounds on this track come from from OBXD. it's nice if you like it, but that's entry level analog emulation. they fake the 'analog' part in such a way It's almost impossible to tell the difference.